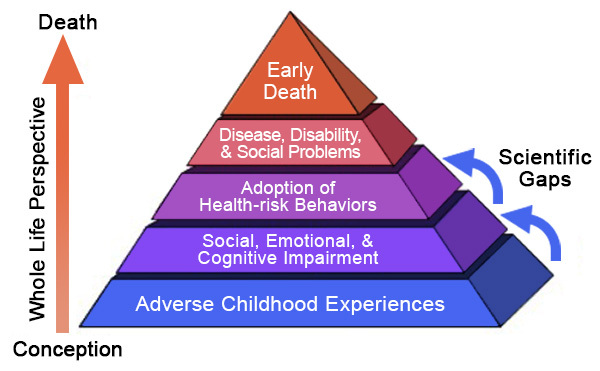 Markham's Behavioral Health: Are you aware of ACEs - Adverse Childhood Experiences? Are you aware of ACEs - Adverse Childhood Experiences? "In a nutshell, this ACEs science clearly shows that childhood trauma results in the adult onset of chronic physical and mental illness, violence, and being a victim of violence. It shows that most of us have experienced childhood trauma. And it shows that the systems we’ve created to change human behavior — whether criminal, unhealthy or unwanted — will actually work if we change them from blaming, shaming and punishing people to understanding, nurturing and and healing them."